After months of speculation, Dish finally announced more details on its much-awaited standalone live-TV streaming service. 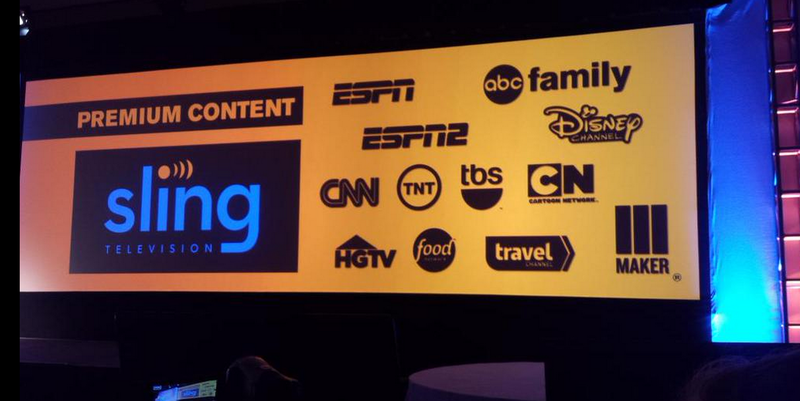 First up — it’s going to be called Sling TV and will be commercially available later this month. Dish says the service will sell for $20/month with no contract commitment, meaning you can cancel at any given time. 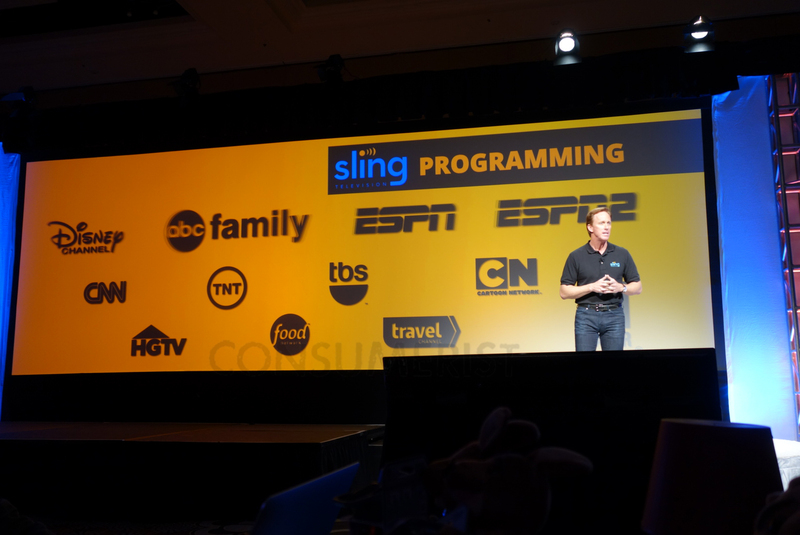 Sling TV will offer live TV offerings from ESPN (and ESPN2), CNN, TBS, HGTV, Adult Swim, ABC Family, Cartoon Network, TNT, Food Network, and Disney Channel. Additional packages are available for $5 extra. The “Kids Extra” package adds Disney Junior, Disney XD, Boomerang, Baby TV, Duck TV. The “News & Info Extra” package adds on HLN, Cooking Channel, DIY, and Bloomberg. A “Sports Extra” package is apparently in the offing, but no additional details on channels or pricing was given. 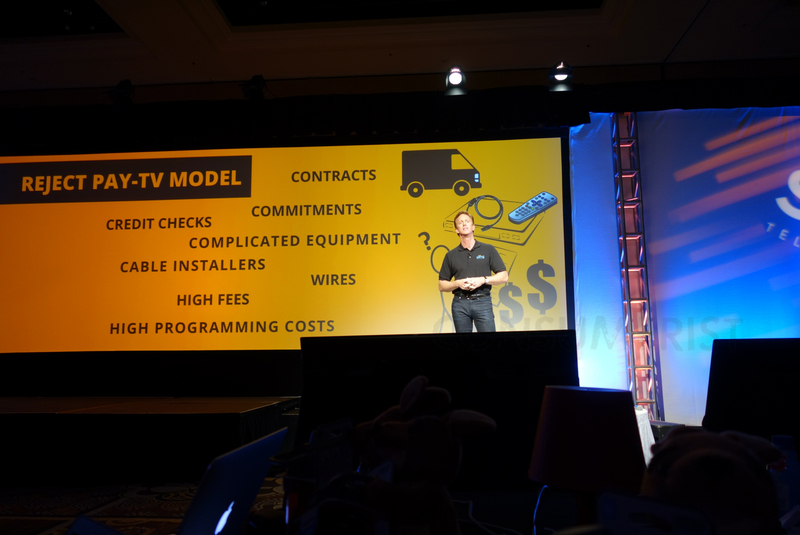 What’s missing from Sling TV is live broadcast TV from the major networks. So you won’t yet see ABC, CBS, NBC, FOX, or the CW as part of the service. You’ll need to antenna-up for those stations and your local news. The lack of these channels helps to explain the $20 price point. 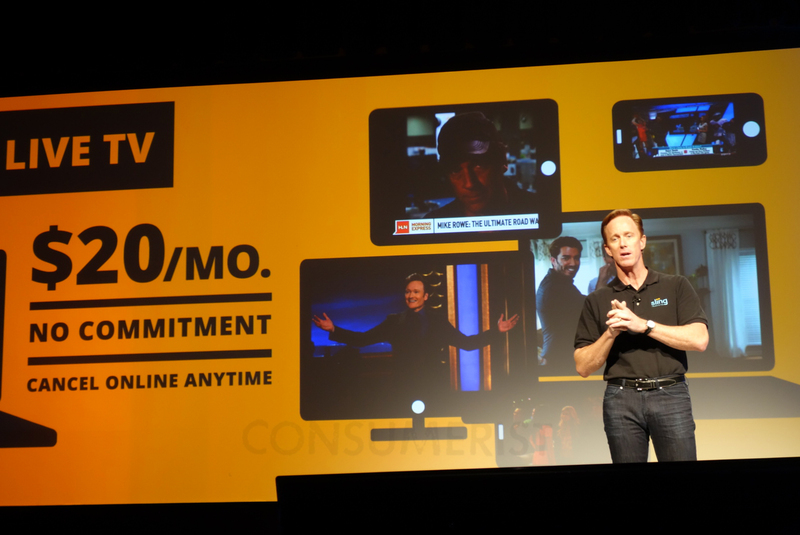 Sling TV will offer basic DVR functionality like pausing and rewinding. Along with, where allowed by licensing, a three-day lookback feature that means you can just go back to that show you missed two days ago. The service will launch on a wide variety of streaming devices — Amazon Fire TV (and Fire TV Stick), Google Nexus Player, Xbox One, Roku players, Roku TVs, with smart LG and Samsung TVs to come. It will also be available through both iOS and Android devices along with Mac and Windows-based PCs.